I know, I know. The title may sound misleading. Twilight nostalgia? Who would miss Twilight? I will have to silently raise my hand. Recently Stephenie Meyer visited Forks again for the tenth anniversary celebration, and watching online, I got choked up with so many feels. I know, looking back, why it has such a bad rep now, and I do find myself laughing at the “still a better love story than twilight” joke. But I was a Twihard. And time and time again I still find myself sighing to Bella's lullaby and bopping my head to Supermassive Black Hole by Muse. So, let me take you on a journey to the land of 2008, and explain why I miss Twilight. I'm going to sound like the biggest book hypocrite, but I read Twilight before Harry Potter. When Harry Potter was really getting popular, I was in kindergarten, and I thought the books were too hard (they weren't, I was just a stubborn child) and stuck to my Magic Tree House. I was eleven when I read Twilight back in early June of 2008. 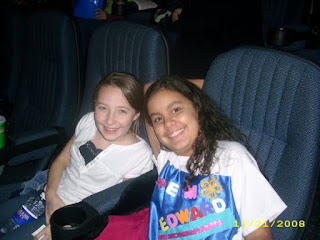 Just cracking in to YA, and Twilight was the stuff. New Moon premiere was not homemade, yay! My mom, who hosted a book club called the Fanpires, was the one who placed the book into my open palms. When I read it, I felt like a part of something. I went to midnight and book premieres, made crappy t-shirts, put glitter on my face, and sobbed when Breaking Dawn pulled that trick on us (you know what I'm talking about). I wouldn't take back the tears, the laughter, the gasps, any of it. I had fun. She was the first author I really admired, because I read her blog and I got to see her as a person instead of the picture of a person on the back of a book. Yes, many will criticize. Horrible writing style! Flat characters! She's just writing the daydreams of a housewife! Maybe that last one isn't all too bad. Because if any of you recall she literally wrote the series because of a dream. A weird dream, but she made that weird dream into a book with a world and characters and life. I myself don't believe she was writing this series for anything but pure self enjoyment. She wrote because she was having fun, not because she was trying to be a millionaire. She tried publishing because, hey, she wrote a book and who wouldn't want to see their book in print? I'm a writer myself and when I wrote my first book I had every intention of publishing the thing. It is a terrible piece of garbage, but I didn't know that at the time. 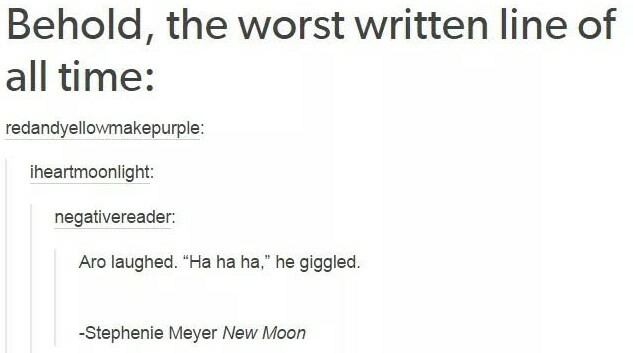 I think Stephenie Meyer was in the same boat, but in her case, her book actually got published and proceeded to explode. Yes, looking back, I can see the cheesiness. I can see the stalker-ish way Edward treated Bella. I can see the faults in the fact that Bella jumped off a cliff. I can see the passive characters, and the bad writing. In a way, I almost feel like a plume of smoke covered the Earth in the Twilight crazy days, and we were all blinded by these facts. The smoke cleared in the hazy days of 2013, when the final movie was out, and we washed our eyes. I could suddenly see. New books. New worlds. And in comparison, Twilight began to fall into an abyss of cheesy vampires and werewolves. 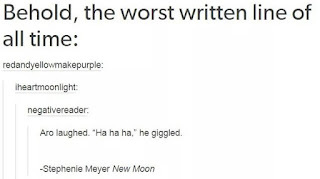 Maybe that metaphor is flawed, because I wouldn't be writing this post if Twilight truly fell into an abyss. I think the fandom was more of a bubble, a place where you entered and the sounds of the rest of the world became muffled. For a while, the bubble froze over, and haters voices were silenced. Ah, those carefree days of 2006 through 2013. We were free to enjoy ourselves. But the bubble popped. I think it's fair to ask, when I've stated Twilight isn't the best book, how it exploded. How did so many people fall in love with this story? How did legions of fans stumble into the bubble? Being part of the bubble felt a lot like this, and when it was over, we realized we looked a lot like this. With it's flaws, Twilight, at its heart, told an honest story. It told a story of love, of sacrifice, of friendship. There's a reason I cried flipping those October, November, December pages in New Moon and would not read the rest until I found out Edward came back. There's a reason why I still sigh listening to the soundtracks. There's a reason I from time to time pull out my battered copy and re-read. It's the love that can't die. However extreme, Bella's grief for Edward leaving was raw. Her love for her child, was raw. Her love for her family and desire to protect them, were raw. Her characters' emotions were raw. I think we connected to that. We connected and we forgot the rest. In a way, though it sounds strange, isn't that what true love is? Believing strengths overcome flaws? I know that sounds like a load of cheese, but us Twihards truly loved the series. I may laugh along with your jokes and agree with your points from time to time. 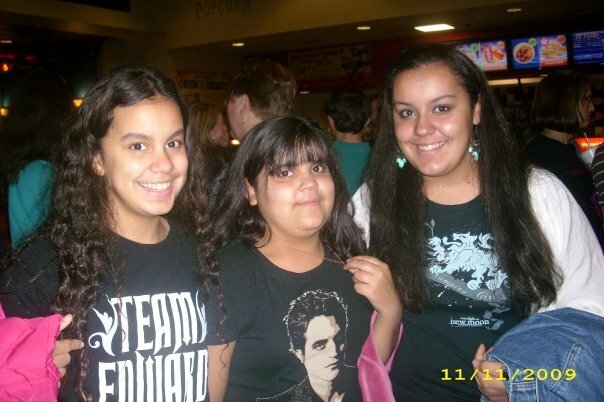 I may have thrown away my homemade Team Edward shirt. I may have let all my DVD's of the movies get scratched or lost. But Twilight still sits on my shelves. And the memories will sit on the shelves of my mind. For anyone who loved Twilight or who gets that thrill when they hear Decode by Paramore, feel free to discuss.